In mid-August, we hosted our second-annual Internal Hackathon and once again, it was a total success! 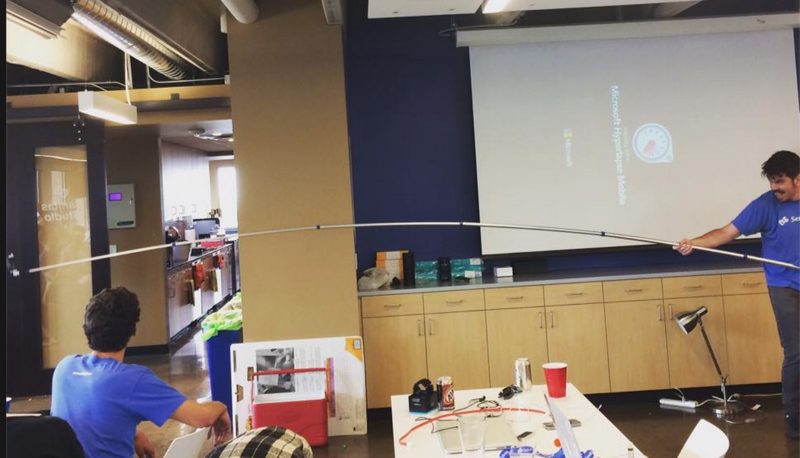 Over 100 employees, ~30 hacks, and 24 hours of creative excellence! The whole idea of hackathons is to bring people together in a creative environment and give them the freedom to build something amazing. All too often now we see companies hosting internal hackathons where the event is either mandatory attendance, or a chance for the company to exploit their employees by having them work on only the business’s software, and without any kind of remuneration—in essence just a long, pressured sprint. This isn’t a good way to go, and certainly not something we agree with. Whilst we had “bounties” on SendGrid-related projects, the hackathon was about working together with employees you usually wouldn’t and leaving the comfort zone to build, learn, and most importantly, have fun. Anyone could pitch anything. Our goal with this event was to create an authentic hackathon experience and this meant that we couldn’t limit it to just SendGrid-related ideas. People pitched ideas ranging from zany to highly product-focused. Participants then chose what to work on and got started hacking. We saw hacks ranging from The World’s Longest Selfie Stick, to a Solar Powered Oven and Water Purifier (yup, all-in-one!)! The quality of hacks was absolutely fantastic and we had a 100% satisfaction rate with much of the feedback being: “Please do this more than once a year!”. Overall, I’d call that a huge win, and I can’t wait for the next one! The top prize went to team Baldur who applied sentiment analysis to HipChat data to try to identify burnout and prevent unhappiness! The second prize went to team Recycle ID. Recycle ID was a hardware hack in which users could upload a photo of their refuse, and via image analysis, a lightbulb would colour to indicate whether the refuse was for Composting, Recycling, or Trash. The third prize went to the team who built the very-impressive UI/UX; SendGrid for Apple Watch. The winner of the best hardware hack was Hades which was a facial recognition door-locking system to mitigate the issue of everybody losing their keys! Overall, everyone involved had a great time, and we all can’t wait to do it again! SendGrid Devangelist. London based polyglot hacker, mainly playing with Golang and Ruby. Musical Hacker, Hardware hacker, Hackathon lover, API abuser and NoSQL user.